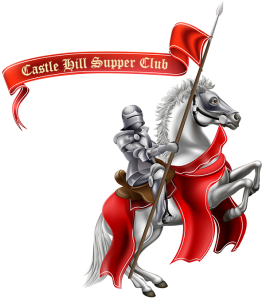 Welcome to Castle Hill Supper Club! Our Famous Prime Rib ... Slow Roasted To Perfection! You can see why we're famous for our steaks! Don't Miss Our Fantastic Seafood Buffet ... Every Friday! Castle Hill has a great selection of wine, craft beer and cocktails to compliment your meal! Mouthwatering meals that you will love at Castle Hill! Mouthwatering, fall off the bone BBQ ribs! Looks good, doesn't it? What are you waiting for! Mouthwatering food you're going to LOVE! Castle Hill has been Jackson County’s Choice for dinner for more than 75 years. Click here to see some historic photos from our early days! Since 1976 the Hensel Family has carried on Castle Hill’s rich tradition of serving only the finest food and providing the best possible service. We hope your visit will be a pleasant one and you will allow us to serve you again in the future. Thank You! In addition to serving the Finest steaks and seafood in Jackson County, Castle Hill Supper Club boasts a 400 seat banquet hall that is very popular for weddings and other special events. Ask us about reserving our large banquet facility for your wedding or special event! On Fridays, be sure to join us for our “Grand Seafood Buffet” featuring : Jumbo Shrimp Cocktail, Shrimp, Baked Cod, Hand-Breaded Cod, Catfish, Clam Strips, “Door County” Fish Boil, Our “Famous” Baked Chicken, Swedish Meatballs, and So Much More … just $14.99! 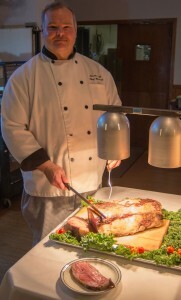 Saturdays are special at Castle Hill thanks to our “Famous” Prime Rib, hand selected and slow roasted to perfection. The Finest Prime Rib in town!! Our bar serves fine wine, craft beers and your favorite cocktails to compliment your dinner! No matter whether your appetite is large or small, Castle Hill Supper Club has the perfect menu choice for everyone … call us for your reservation today! The Hensel family would like to thank you, our loyal customers, for your patronage and we look forward to serving you in the future! Jackson County’s “Premier” Steak & Seafood House!